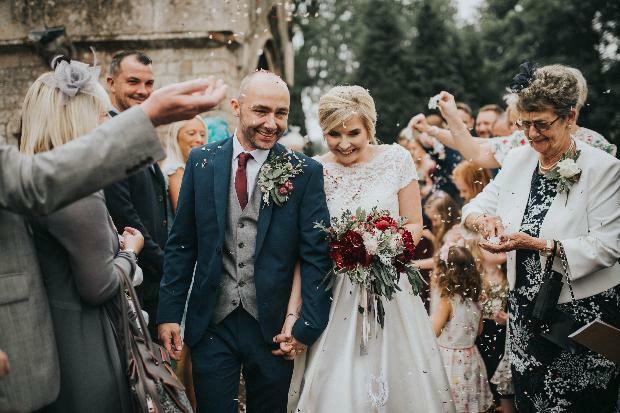 A gorgeous rustic barn created the perfect backdrop for Nikki and Lee's day. 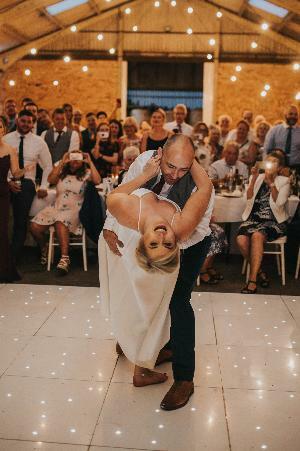 Nikki Whetton, 25, married Lee Wylie, 40, at St Luke's Church, followed by a reception at Grove Barn, on 2nd June, 2018. I tried on about 70 dresses, but I couldn't find any thing I liked until I found a two-piece outfit that I loved. It showed off my best bits while hiding the bits I'm not so keen on. 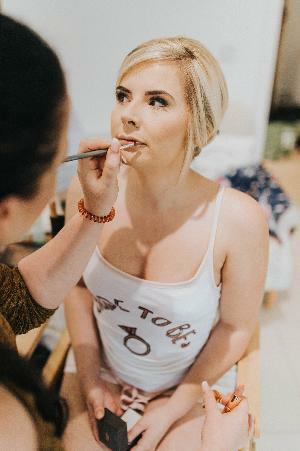 I never really bother with eyeshadow or false eyelashes, so I felt really special having my make-up done professionally on the day. 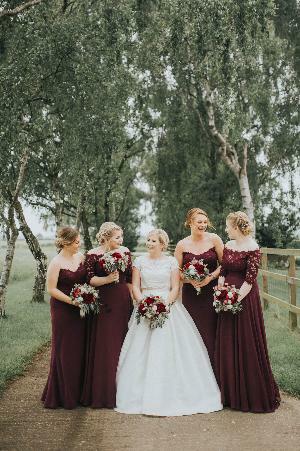 Our bridesmaids wore burgundy gowns in two styles. Being different shapes and sizes, I wanted them to feel comfor table in what they wore. 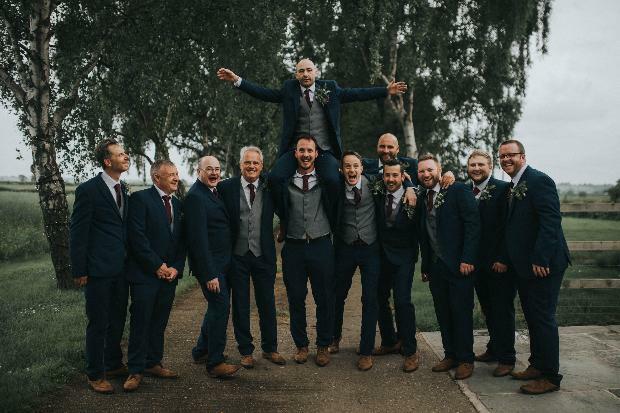 Lee, his best men and ushers wore navy suits with grey waistcoats. Finding their outfits was stressful – none of them knew their sizes, so it was a mammoth job. 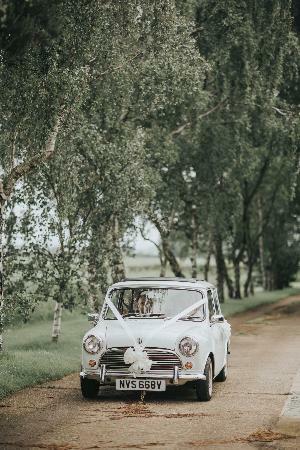 My dad and I travelled to the church in a white vintage mini. My dad was terrible at driving because the car was so old. I couldn't stop laughing! 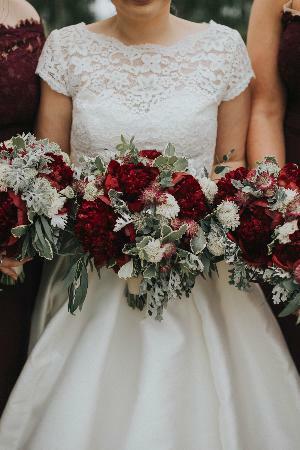 I love peonies, so we chose a burgundy variety along with eucalyptus, white blooms and foliage for our bouquets. 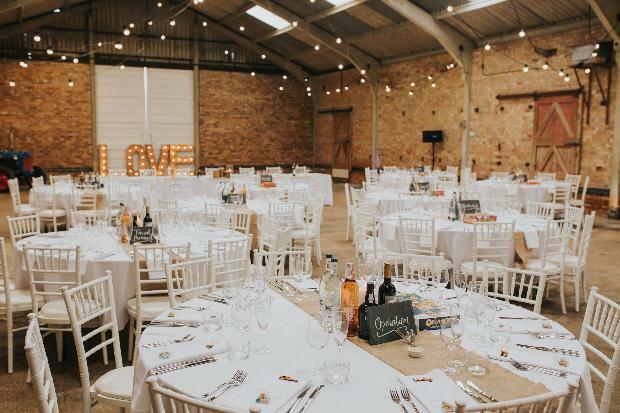 We found a barn that we loved for our reception. Just down the road was the really pretty church where we held our ceremony. For our centrepieces, we stood candles in hurricane vases with wooden bases. 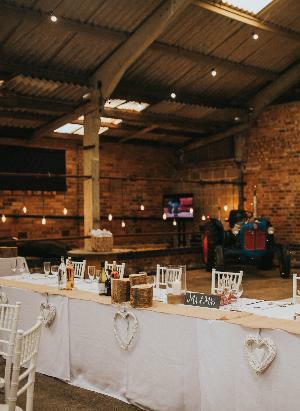 These were surrounded b y logs and hessian table-runners to suit the look of the barn. 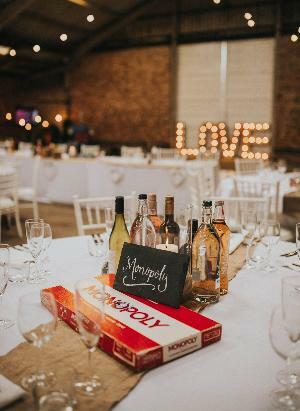 We had a board game on each table. I really like playing them, so when we first met, I made Lee join in. Now we love playing them together. 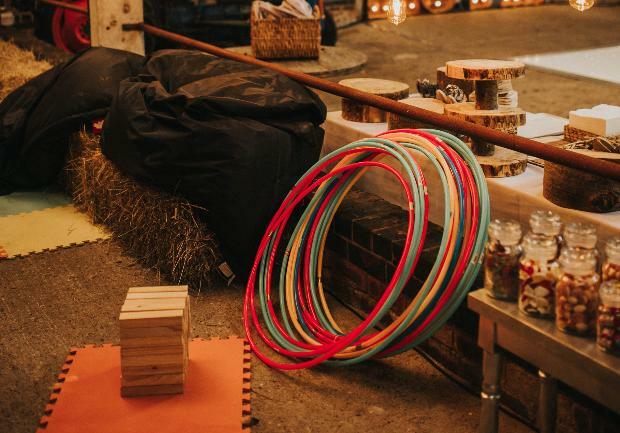 We made our own garden games for the guests to play. It created a fun atmosphere throughout the afternoon. Our friends are in a local band, Johnny and The Good Time Boys. They played a great mix of Motown and reggae into the evening. 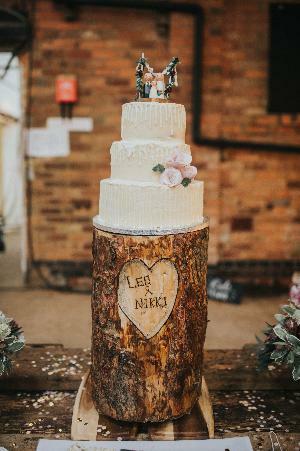 We opted for a simple cake with dripicing detailing, and the topper was created with hand-painted pegs that were made to look like us. 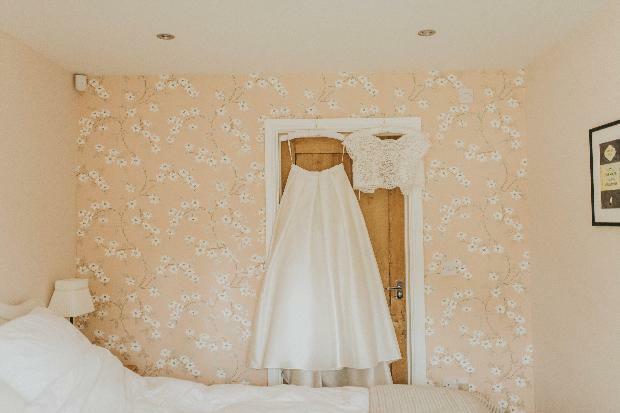 We fell in love with Kerry, our photographer. It was the best decision we made. We have some amazing memories of our day. 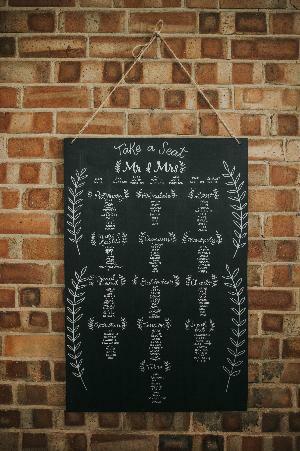 Our chalkboard table plan was pinned to the wall with hessian string. It really complemented our styling. 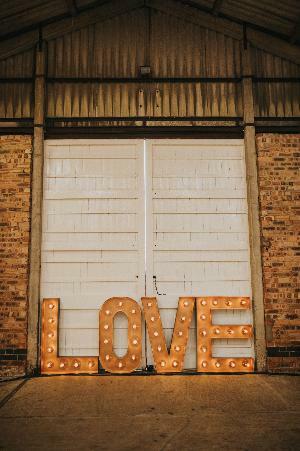 The barn didn't have lighting, so we added lots, including giant rustic LOVE letters.